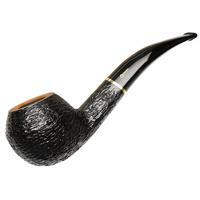 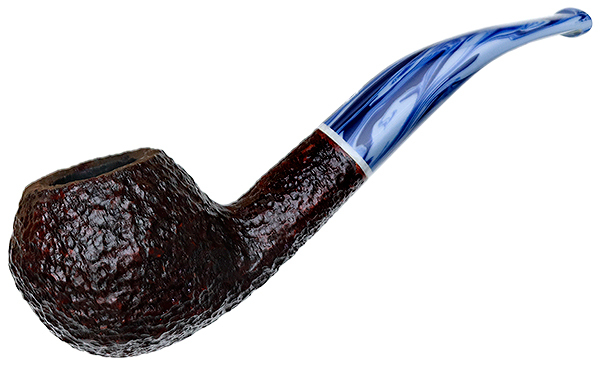 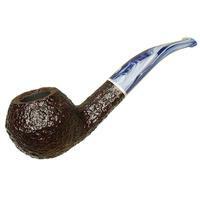 Savinelli's "673 KS" bent Bulldog wears a crisp ridge about the equator, rather than the characteristic, etched beadline, along with a softly-triangular shank and stem arrangement. It makes for a decidedly Italian silhouette, and here found in the evocative Oceano series, with a dark rustication paired to a swirled blue and white acrylic stem, it's a playful composition perfect for the seafarer at heart. 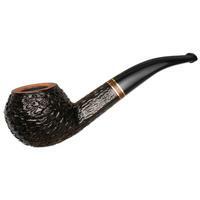 Bowl Height: 1.62 in./41.15 mm. 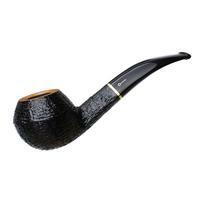 Chamber Depth: 1.36 in./34.54 mm. Outside Diameter: 1.77 in./44.96 mm.